Feeding tubes are often placed in the hospital setting for patients with advanced dementia, even though there is pretty much a lack of evidence for their effectiveness in improving survival, preventing aspiration pneumonias, or helping resolve issues like pressure ulcers. One big question though is why does there seem to be so much variability in why patients with advanced dementia get feeding tubes? A group of researchers from Brown University and Harvard Medical School looked at this question by trying to identify specific characteristics of acute care hospitals associated with greater rates of feeding tube insertion. Their study, published in this weeks JAMA, looked at over a quarter of a million hospitalizations in 163,022 previously non–tube-fed nursing home residents with advanced cognitive impairment, aged 66 years or older, who were hospitalized between 2000 and 2007. Nearly 20,000 feeding tubes were inserted. 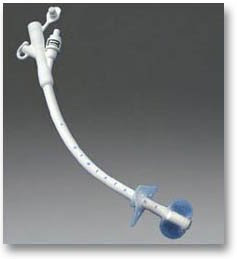 In 2007, 6.2% of hospitalized advanced cognitive impairment patients received a feeding tube. Several nursing home resident characteristics were also independently associated with feeding tube use. White residents had the lowest chance of getting a feeding tube, while blacks had about a 2-fold increase in the likelihood of getting one. Patients with written advance directives, DNR orders, and orders to forgo artificial hydration and nutrition were also to get a feeding tube. In a press release Joan Teno, the lead author stated that “Our results suggest that decisions to insert a feeding tube in persons with advanced dementia are more about which hospital you are admitted to than a decision-making process that elicits and supports patient choice.” This statement makes me think of a recent paper in the Archives of Internal medicine (reviewed by Pallimed this week) showing that whether a patient with advanced dementia gets a feeding tube may depend on the culture of the nursing home. Like it or not, it seems that location does play a very big role in why patients with advanced dementia get feeding tubes. Another study suggesting great variation in late-life care practices, and another study suggesting that the Dartmouth Medical Atlas yields meaningful information on "better-performing" communities and hospitals in late-life care. Thanks for highlighting this article. It is important. A big (unsupported) criticism of The Dartmouth Atlas is that they don't control for patient variability well enough. This article is one of the best yet showing that patients have nearly nothing to do with the variation seen. Practitioners, influenced by local norms and 'standards of care' really seem to be the big drivers of regional variation. Eric, thank you for posting this great article containing very useful information for families with loved ones staying at a nursing home. This issue is important.